Nick Canon Welcomes His Third Child with Ex-Girlfriend , names him 'SAGON CANON"
Nick Cannon welcomed his third child into the world on Tuesday. 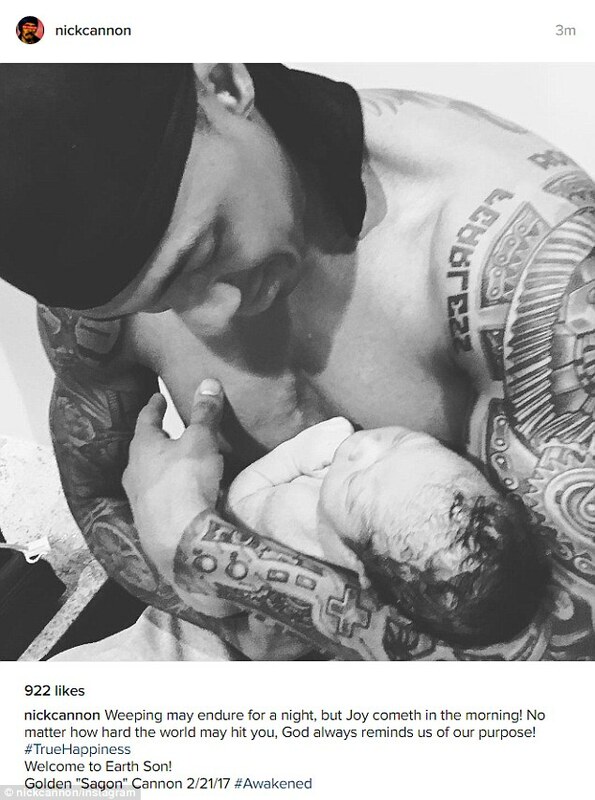 The 36-year-old comedian took to Instagram on Wednesday to share an adorable photo of himself cradling his new son. He made the announcement of the new bundle of joy with the black and white snap and even shared his name. The television presenter already shares five-year-old twins - son Moroccan and daughter Monroe - with ex-wife Mariah Carey.